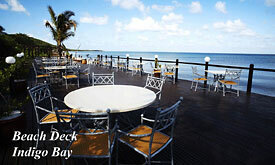 Indigo Bay is an exquisite island resort, situated on the pristine Bazaruto Island, the largest island in the Bazaruto Archipelago. 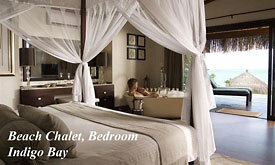 The resort offers exclusive island accommodation providing the quintessential Indian Ocean island holiday, as well as a gateway to the unspoilt beauty of the Bazaruto Archipelago with its exquisite natural beauty and ecological diversity. 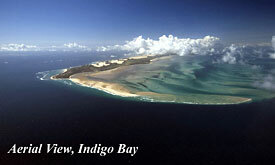 The Bazaruto Archipelago is a group of small islands situated approximately 40 kilometers off the coast of Mozambique. 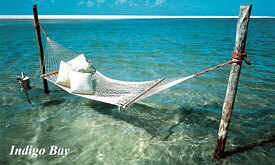 Bazaruto is the largest (approximately 37kms long and up to 7kms wide) and northern most of the five islands. 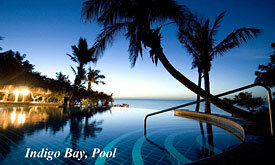 Indigo Bay is situated +/- 600 kms north of Maputo on the western side of Bazaruto Island. 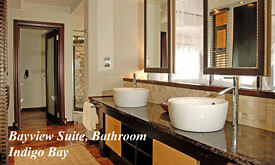 Indigo Bay Island Resort & Spa has undergone major improvements and changes. Now complete, Indigo Bay will be considered to be the top Island resort in Mozambique and will compare to other Island destinations across the world. • The Golfinho Restaurant specialising in seafood dinners. • Salt-Water Swimming Pool and Wet Pool Bar: The Tartaruga.